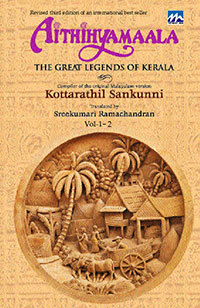 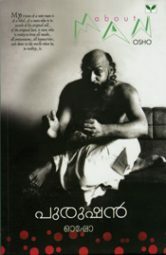 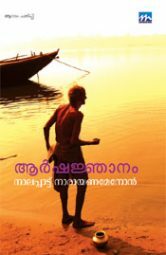 Kottarathil Sankunni’s Aithihyamaala in its richness, lucidity and variety is the Malayalam equivalent to Kathasaritsagara, Arabian Nights and Popol Vuh. 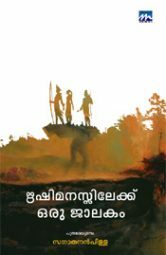 This compilation of folklore, a perfect counterpoint to Kerala’s history, transports the reader into a fascinating world of kings and chieftains, elephants and mahouts, temples and deities, priests and wizards, nymphs and sirens. 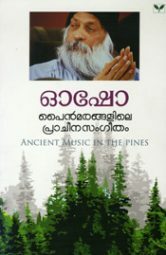 Penned by Kottarathil Sankunni in his inspiring and delightful language, this cherished collection combining a heightened sense of the real and the unreal is considered a classic.